Goldcrest, The Goldcrest Collection, 2014. This is the companion CD for choreographer Joseph Pimentel's book of dances. The recording features music for twelve English country dances and four American contra dances in form suitable for dancing. 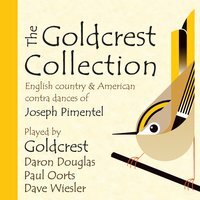 Most tunes are recently composed, many by Dave Wiesler, and they range in mood from stately and elegant to driving and energetic, from regal to soft and delicate, highlighting Goldcrest's musical scope and their intricate and creative arrangements. Thistle House, Thistle House Live!, 2013. Live recording of medleys suitable for Scottish country dancing. 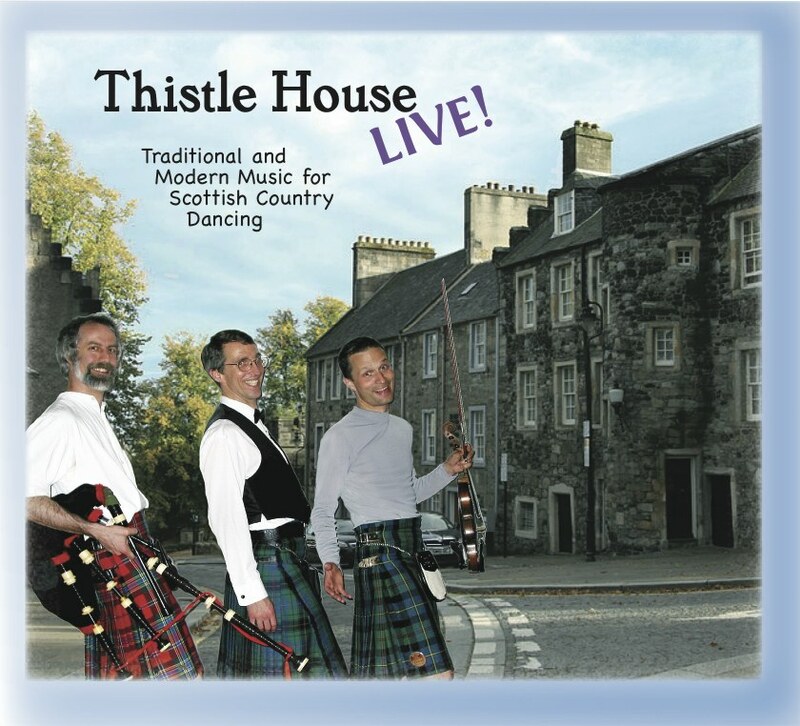 Thistle House consists of hard-driving fiddler David Knight, electric piper and flutist Dan Emery and pianist Dave Wiesler. Dances and tunes on Thistle House Live! are listed here. 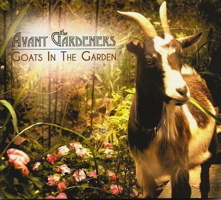 The Avant Gardeners' third recording, out in December 2009, and the second to feature the amazing piano playing and compositions of George Paul. Like the other Gardeners recordings, this features a broad array of mostly original tunes, songs, introspection, humor, and crazy energy. With Laura Light on fiddle and vocals; George Paul on piano and accordion; Jubal Creech on percussion; Dave Wiesler on piano, guitar, and keyboards; Dan Sebring on guitar, fiddle, and mandolin; and a large cadre of guest artists. Mara Shea and Dave Wiesler, Heather Hills, 2009. Studio recording of medleys suitable for Scottish country dancing. Mara is a North Carolina-based fiddler and a long-time member of the contra dance band Elftones. 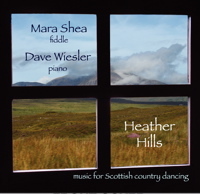 Dances and tunes on Heather Hills are listed here. Original melodies, drawing on elements of Celtic and English dance traditions with classical influences, richly arranged for folk ensemble. Features Earl Gaddis, Andrea Hoag, Susan Brandt, Paul Oorts, Ralph Gordon, and Karen Ashbrook. Read reviews of Cracks and Shadows. Fiddler Dave Tweedie, of Ocracoke Island, NC, band Molasses Creek, has released his second instrumental album -- "a compendium of original reels, jigs, hornpipes, and waltzes that will have ya dippin' & swinging from Ocracoke Island all the way back to the homeplace!" Features Dave Wiesler on piano, guitar, and keyboards, and Jubal Creech on hand percussion. The Avant Gardeners' second recording, again featuring a broad assortment of tunes, songs, poignancy, exuberance, and sheer wackiness. Features a lot of original tunes by band members, especially George Paul. With Laura Light on fiddle and vocals; George Paul on piano and accordion; Roger Gold on guitar; and Dave Wiesler on piano, guitar, mandolin, and Hammond organ. Alexander's debut recording, showcasing his amazing fiddle work and his fine voice. Our band, The Gigmeisters, forms the core of this recording, which includes rocking contra dance numbers, mysterious couple dance tunes, infectious swing tunes, and several great songs. Hanneke Cassel and Dave Wiesler, Many Happy Returns, Cassel Records, 2003. Studio recording of medleys suitable for Scottish country dancing. Hanneke is a U.S. National Scottish Fiddle Champion. Dances and tunes on Many Happy Returns are listed here. Live recording of 2002 Scottish Weekend at Camp Ramblewood. Cuts are strict tempo, suitable for Scottish country dancing. Dave plays on half of the tracks. Dances on More Memories of Scottish Weekend are listed here. Zany and poignant collection of mostly original songs and fiddle tunes. Refreshingly eclectic and fun. Features Laura Light on fiddle and vocals, Dan Sebring on lots of instruments, and Dave on piano, guitar, banjo, percussion, whistle, and vocals. Rich and rhythmically varied sets based on contra dance traditions, drawing on diverse styles. Music that smolders, flows, and bursts into flame. 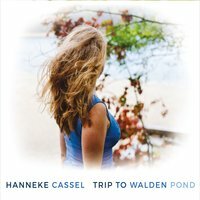 Hanneke Cassel's sixth solo CD, with mostly original compositions or uniquely conceived traditional tunes. The recording features Hanneke's usual cast of guest musicians (Mike Block on cello, Keith Murphy and Chris Lewis on guitar, Jeremy Kittel on fiddle and viola, Dave Wiesler on piano), along with Antti Jarvela on some great piano and guitar tracks and an Uilleann piper, Samppa Saarinen. Hanneke Cassel's fifth solo CD, with mostly original compositions or uniquely conceived traditional tunes. Features an all-star cast of guest musicians, including Mike Block, Rushad Eggleston, Ariel Friedman on cello, Keith Murphy and Chris Lewis on guitar, Ryan McKasson and Jeremy Kittel on violin/viola, Cali Kovin and Dave Wiesler on piano, and several others. Deby Benton Grosjean is a California-based performer, educator, and conductor, a mainstay of Alasdair Fraser's Valley of the Moon Fiddling School, long-time instructor of the strings program at Cabrillo College, and winner of various awards for fiddle performance. In this CD Deby has orchestrated what she calls "an elixer of beautiful melodies drawn deep from the wellsprings of Celtic traditions, using acoustic instrumentals with a refreshingly current approach." Dave Wiesler is featured on two tracks of the CD, which also features Tony McManus, Barry and Shelley Phillips, and many others. 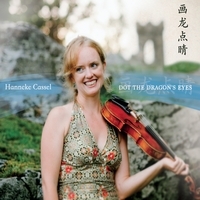 Hanneke Cassel's third solo CD, with mostly original compositions or uniquely conceived traditional tunes, including a haunting Chinese folk song with guest erhu player Zhao Lei. Features an all-star cast of guest musicians, including Rushad Eggleston and Ariel Friedman on cello, Keith Murphy and Chris Lewis on guitar, Casey Driessen on fiddle, Ryan McKasson on viola, Dave Wiesler on piano, and several others. The second solo recording from one of the nation's top Scottish fiddlers, now showing added depth, with many original compositions and innovative arrangements of Celtic-, Swedish- and U2-based melodies. Features the incredible cello work of Rushad Eggleston and Chris Lewis's fine guitar, as well as a number of guest musicians (like me!). Traditional Celtic and Flemish instrumental music from Dave's Cabaret Sauvignon bandmates. Richly arranged and expertly performed. Debut album from a terrific young Scottish fiddler, then freshly out of Berklee College. Features traditional tunes and her original works, some richly orchestrated. Original and traditional songs and dance music, including swing, contra dance tunes, waltzes, and even a salsa number. With guest appearances from lots of Laura's musician friends from coast to coast. Scottish and American fiddle music from one of the country's most talented Scottish fiddlers. Memories of Scottish Weekend (1999), Scottish Weekend, Inc.